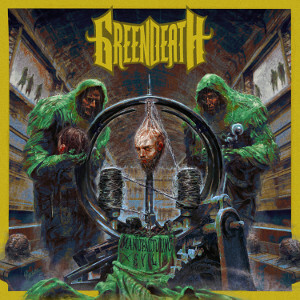 US Thrash/Death Metal band GREEN DEATH will release their second album “Manufacturing Evil” through EMP Label Group on May 20th. “Manufacturing Evil” is a dutiful nod to classic thrash, with a modern edge, that has already been likened to the classics before them. On this sophomore album, the Death Metal legend David Vincent (ex-Morbid Angel) is featured as a guest vocal on "Gates Of Hell" and David Ellefson (Megadeth bassist) has involved in as the executive producer. 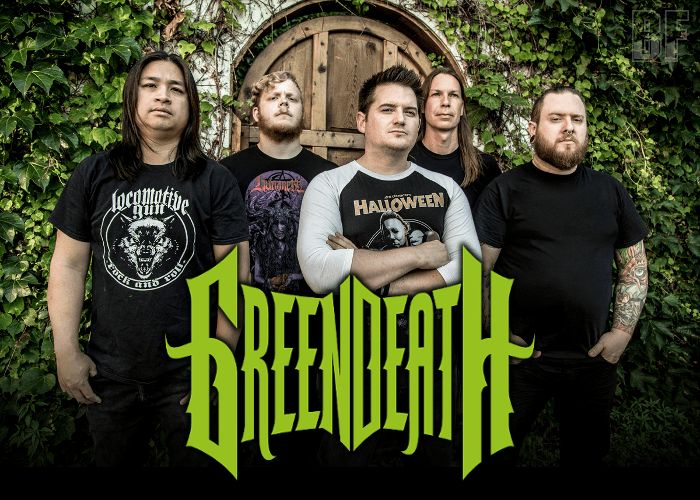 With the core of the band playing together for well over a decade, GREEN DEATH, has become a staple in the Midwest Metal scene, earning their stripes playing alongside artists like Slipknot, Suicidal Tendencies, Sevendust, Trivium, Napalm Death, Battlecross, John 5, Soulfly, Devildriver, Havok, Philip H. Anselmo & the Illegals, Sebastian Bach, Doyle, Black Dahlia Murder, Dying Fetus, Carcass, and more, and releasing 2 critically acclaimed LPs. The band was founded in 2012 and their “big break” came in 2015 when Slipknot/Stone Sour vocalist Corey Taylor offered the band a slot on KNOTFEST in San Bernardino, CA, with Slipknot, Judas Priest, Korn, Mastodon, All That Remains, and more, and introduced them to EMP A&R director Thom Hazaert, who immediately sent the band’s material to David Ellefson (on tour in India at the time with Megadeth), and the band were signed 4 days later. For fans of Megadeth, Testament, Slayer, Anthrax, and Entombed should check out this album.